Our car hire offices in Tenerife. Car hire at any of our 6 offices in Tenerife, either at the airport of Tenerife North (Los Rodeos), in South Tenerife Airport (Reina Sofia), or in one of our offices located in major tourist areas of the island. Our range of vehicles...economics, compact, 4x4, vans, station wagon, convertibles, luxury vehicles, etc. allow you to tour the island comfortably. Make your reservation with confirmation in real time, and take advantage of the security and quality of service backed by our award Cabrera Medina Tourism 2007 and 2009. 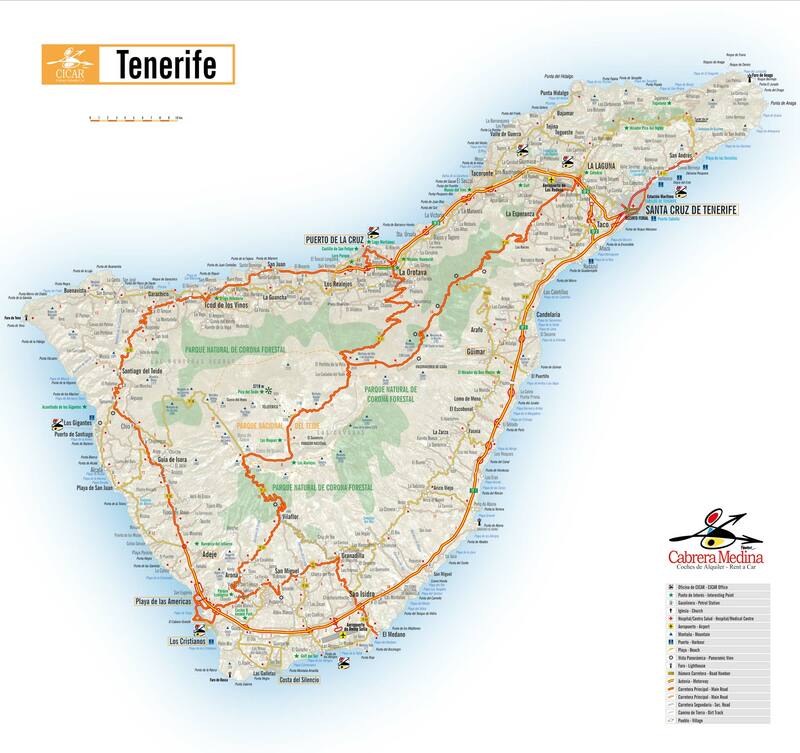 Download our free map of Tenerife and have always handy location of our offices. In addition, we give you free in printed version. Ask our staff. See our car hire fleet in Tenerife island.